This Saturday I had the pleasure of being part of Rory and Laura's wedding at Hensol Castle in the Vale of Glamorgan, one of the best wedding venues South Wales has to offer (in my opinion of course). And what a day it was! 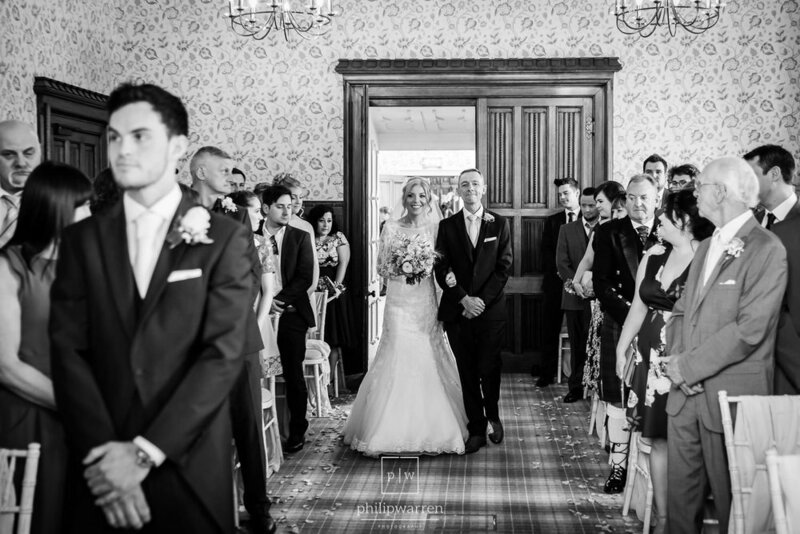 Being one of the approved photographers at Hensol Castle and The Vale Resort, and Laura being one of the wedding co-ordinators for Hensol Castle the pressure was definitely on to get some amazing photos! Luckily for me, the weather turned out to be incredible all day long and the two of them were super keen on getting some incredible photos. Coupled with the incredible backdrop of the castle It was a win-win situation for me. To give you a little bit of context, the one shot below of the two of them in the archway inside was actually taken at 11:30 pm at night, yes, I don't disappear as soon as your first dance finishes! I'll be honest, I really had a hard time narrowing down the images for this preview! So many gorgeous shots to choose from, so I hope you enjoy this small selection below. Thanks again to you both, congratulations, and enjoy your honeymoon to the Maldives - I'm not jealous at all! To take a bigger look at their wedding, please check out their slideshow from the wedding. Getting married at Hensol Castle and looking for a wedding photographer? Please get in touch! I would love to shoot more weddings at this beautiful venue. To see more weddings from this venue hit the button below.